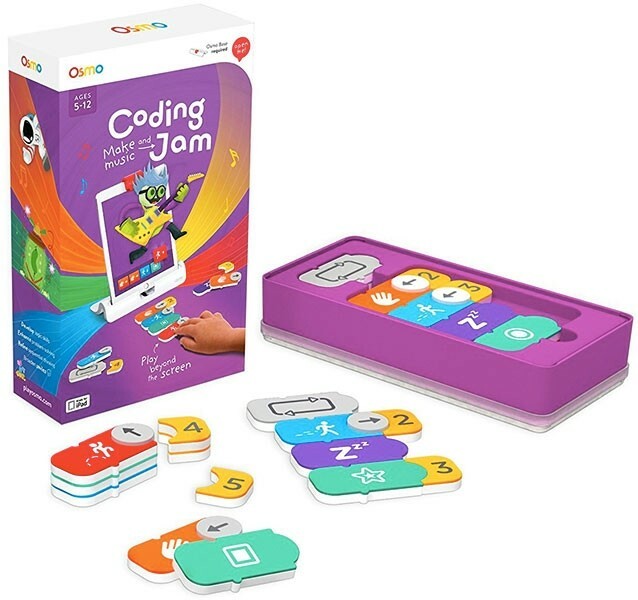 With Osmo Coding Jam, creating a code is as easy and clicking blocks into place! Arrange tangible blocks into patterns and sequences -- the essence of coding -- to enter exciting way-out worlds, where characters can be controlled, along with music they perform, to rock the house. 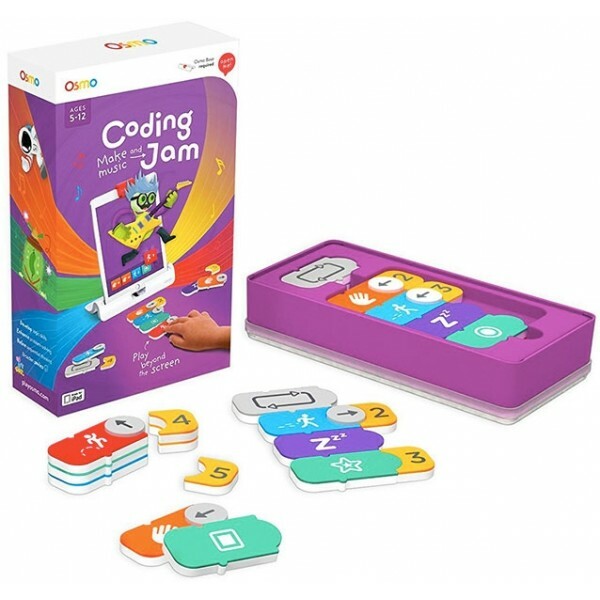 Stand your iPad in your Osmo Base, download the Coding Jam app, and let the learning begin and music play! Please note: this expansion requires the Osmo Base for your tablet, which is available in several packs, including the Osmo Genius Kit.